Ketsana was born in Savannakhet Laos, to parents Samane and Vong Vilailack. She and five siblings left the country with their mother after the new government came into power, while their father remained in Laos. Although still a very young child, she vividly remembers her mother crying while they stayed in the refugee camp in Ubon, Thailand. Coming to America was definitely a culture shock for her family. They arrived in Algonquin, Illinois where the population was 2,300 and they were the only Asian family. Things were rough in the begining, but they began to changed when Ketsana took the stage for the first time on her 12th birthday. The audience fell in love with her voice. She performed with local rock bands, occasionally doing covers of Holiday, Borderline, Lucky Star and before long was unwittingly dubbed “Lao Madonna.” She would go on to tour the United States, Canada, Europe and Asia. Her discography between 1991-2007 totals nearly a dozen albums (including Time, Colour of Love, Forget Laos Not, Earth & Sky, and recent single I Hunger). As the 90s came to a close, Ketsana was very happy with the success she achieved as an immigrant in America. Still, she longed to return to Laos and get back in touch with her heritage in some way. An opportunity presented itself and she packed up and crossed the Pacific Ocean. She landed a publishing deal with Warner Chappell Music in Thailand (then a Time Warner company) and lived in Bangkok writing music. She recorded an English album there for Warner Music, set to release in Asia, but after AOL and Time Warner merged in 2000, things changed and her project fell through. “Oh well, not my luck at the time,” she explained. Despite the initial setback, Ketsana remained in Southeast Asia, living in Vientiane and touring from the south to the north of Laos. She was also very involved with the Lao entertainment industry in Vientiane. She admits it was very hard work, but in the end she was glad to have had the opportunity to speak up and be a supportive voice for the talents there. She weathered many ups and downs, but Ketsana is grateful to have made valuable industry contacts in Laos and Thailand. Ketsana returned to the United States in 2003, then in 2005 was invited back by the U.S. Embassy in Laos to produce and perform in their celebration commemorating of the 50th Anniversary of Diplomatic Relations between the United States and Laos. 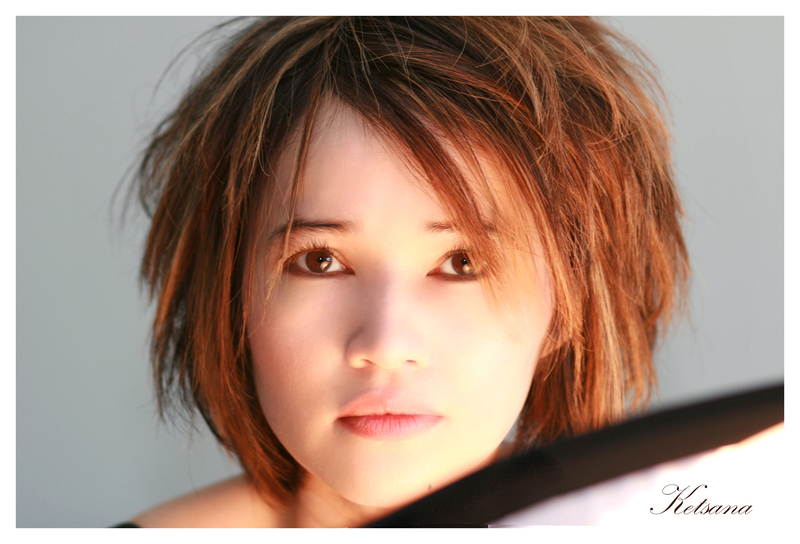 In 2006 Ketsana returned to Laos to record new tracks and shoot music videos on location. Jonny explains that he started out playing in a rock band, met a girl, fell in love and moved to the Big Apple. Unfortunately things did not turn out as hoped, and he returned to southern California heartbroken and homeless. With the help of a friend, Jonny found a job working in a Thai restaurant in Los Angeles. It was there that he met Thongdee, a man from Northeastern Thailand, who taught him the Thai Issan (ethnically Laotian) language. Jonny would sing Thai and Lao songs with Thongdee, and receive wonderful reactions. The crowd was often suprised to hear a “Farang” (foreigner) singing in their native language, which piqued Jonny’s interest even further. He talked about someday becoming a Khaen player and Morlum singer, but was nicknamed “Fun Pai Gon” meaning “Daydreamer.” Jonny responded by saying “Fun Ti Pen Jing!” — declaring his dream would someday come true. Jonny distinctly remembers his first encounter with the khaen. 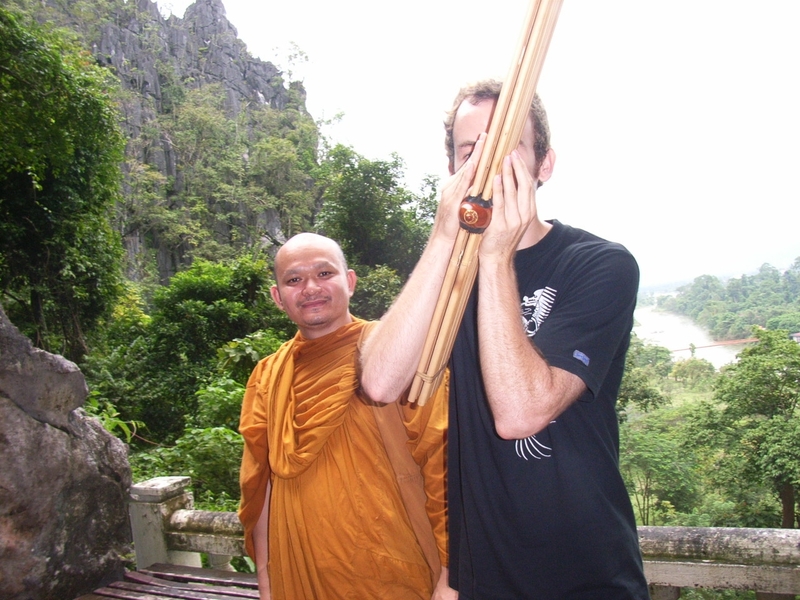 It was during his first trip to Thailand he purchased the instrument as a souvenir. Although he did not know what it was, he wanted to know how it sounded. He took the reed pipe into a private room, making sure that there was no one else around, so only the sound of the instrument could be heard. He gave it a blow and was immediately amazed by the sound it produced. Jonny instantly connected with what he describes as the “beautiful mellifluous melodies” of the khaen and could not keep his hands off of it. 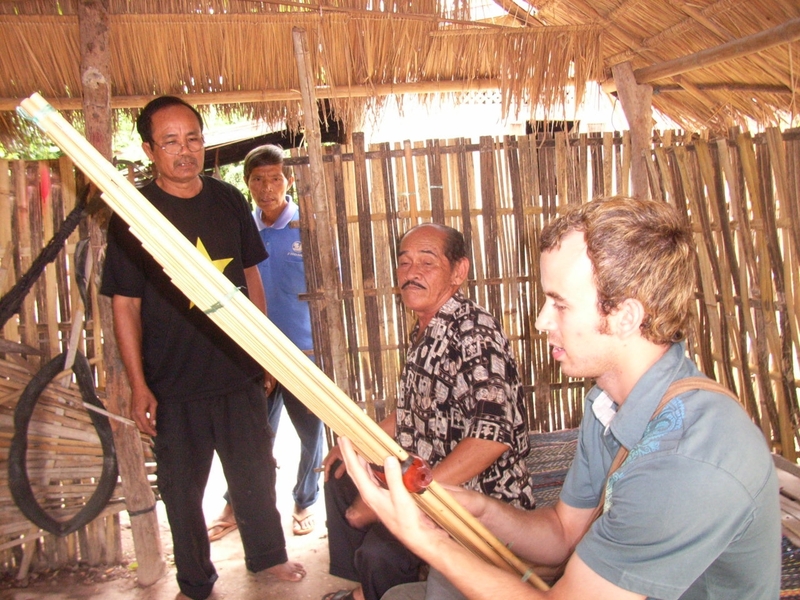 Jonny arranged to stay in Thongdee’s village in Buriram, Thailand and learned how to play khaen by ear from two local masters. He remembers humming the different melodies of the khaen and Lao folk music all day and even in his sleep. Jonny went on to study with the famous morlum master in Khon Kaen by the name of Ratree Sivilai. Together they performed at different villages, made his first album “Farang Yak Pen Morlum” (Foreigner Wants to be a Morlum Singer), appeared on Thai television and even traveled to Sweden and Taiwan. 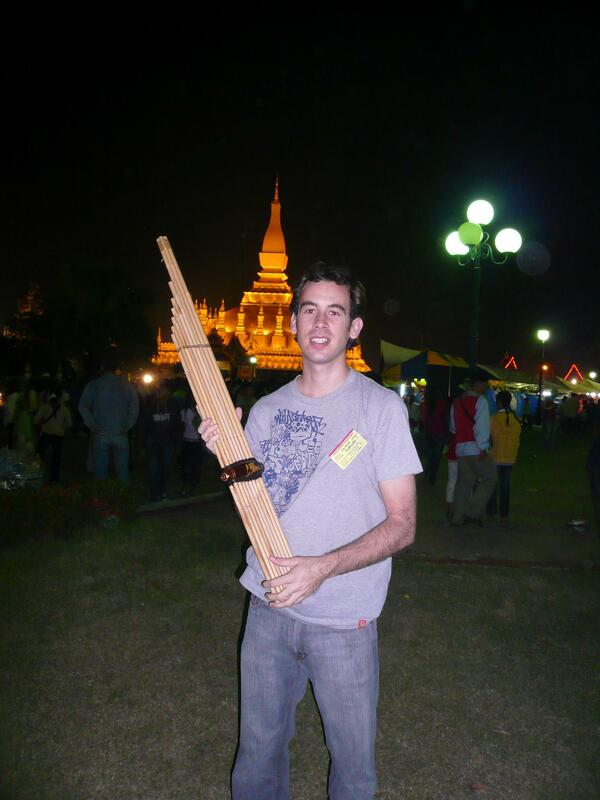 In 2005 Jonny became the first foreigner to win the khaen contest at the Silk Festival in Khon Kaen. 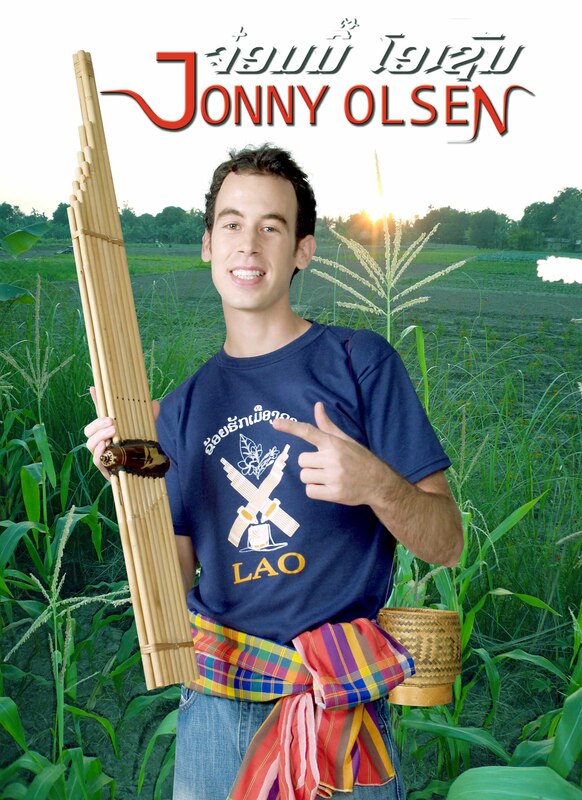 After returning to America, Jonny was featured on satellite TV and was invited to perform with Lao and Thai singers at several restaurants and temples. In September of 2007 Jonny was invited to play in Thailand with the comedy group Ponglang Sa-On in Bangkok at the Impact Arena. Jonny felt he didn’t really fit into the group. It was shortly after this experience that he met Ketsana on the internet. Ketsana has been invited by the Ministry of Information and Culture to return once more in 2009, to perform in English to international audiences at the opening and closing of the 25th SEA (SoutheastAsia) Games 2009, to be hosted by Laos. A version of this article appears in Lao Roots Magazine issue #4 (2008).